Indian vegetarian Keto diet for weight loss is a difficult choice for vegetarians since it becomes extremely hard to find out which food item goes well to trigger the ketosis process, especially when you are vegetarian. Before I jump on the list of Indian vegetarian keto diet food list let’s understand how Keto diet works. 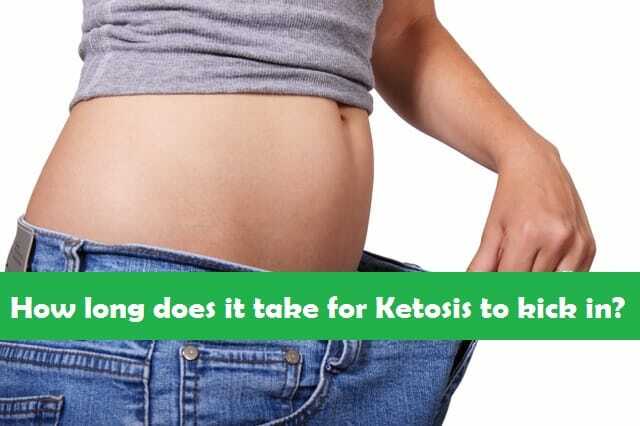 The key with any keto diet is to trigger the process called ketosis. It’s actually a process to force your body to utilize the excess fat as energy instead of using any carbohydrates. This process is triggered when we adopt a scientific way to give our body all the nutrients except limiting the carb intake. So any food that is high on fat and low on carbohydrates can make it to the list of keto diet. So next time when you search online keep one thing in mind, i.e. keto diet does not have standard list of items in it. On the contrary the logic should be anything that is high on fat or protein but low in carbs can be considered as a keto food, since that will trigger the ketosis process. Keto diet allows you to consume fatty items, the only caveat it has is that you cannot consume sugar, sweets and food items high on carbohydrates (example: Potato). Having said that taking the keto approach will give you results in as less as 8 – 10 days. How long does it take for ketosis to trigger? Ketosis process begins in as less as 3 days. The best way to test the ketosis is to do a simple ketones urine test and the moment you see the presence of ketones in urine, it means you are on ketosis. Don’t do this test within 3 days of starting your Indian keto diet. Instead do the test after 4 to 5 days as that will give you the most accurate results. Note that, it may take longer than normal if you are extremely obese as your body needs to first utilize the unused fat before going into ketosis. So stay disciplined and you should see keto effect taking place. Having said that it’s easier to ruin this whole approach the moment you intake sugar, sweets or carbohydrates. If you do so you will end up putting more weight so stay away from sugar and carbs at all times when following Indian vegetarian keto diet or even western keto diet. Now that you know how keto diet works, let me take you through the list of 88 keto food items that I think can fit into your Keto regimen. This list can go on forever, I have tried to list down fruits and veggies that are easily available. Enough of info, let’s deep dive into your one month vegetarian keto diet program starting from very first week. 9 PM – Dinner – Vegetable soup, Spinach sabji and 2 – 3 quinoa or soy flour roti. 9 AM – Breakfast – Paneer Paratha followed by bullet coffee. 9 PM – Vegetable soup with limited butter in it. 9 PM – Zero Oil Paneer Matar with 2 – 3 Quinoa and soya flour roti. Drink atleast 3 – 6 Glasses of water here. 1 PM – 2 – 3 Quinoa Methi Roti, Soyabean mutter and a small bowl clear soup. Keep drinking water atleast 5 glasses till the time you reach lunch. 5 PM – Handful of roasted chana followed by green tea. 9 PM – Spinach and Lauki soup followed by a bowl of green salad with grated cheese. 9 PM – Broccoli sabji with 2 Quinoa chapattis. 9 PM – Lotus stem, carrots, spinach and broccoli clear soup with grated cheese. 9 PM – Green salad with cheese grated cheese, if feeling hungry then consume lotus stem soup. 9 PM – Cheese pakora with lotus stem clear soup. 9 PM – A bowl of fresh green salad with grated paneer and cheese. 9 PM – Vegetable smoothie followed by clear soup. 9 PM – A bowl of green salad with grated cheese followed by clear vegetable soup. 9 PM – A bowl of green salad with small pieces of paneer and grated cheese. On this day cravings will be at its extreme, you need to get through this phase as your body will be demanding carbs, don’t have any items that are sweet or have carbs in it, it will ruin the hard work. 9 PM – One small bowl green soup, and 1 Paneer Paratha made from Quinoa flour. This concludes our One month Keto diet regimen. Once you reach your target weight, you can afford to switch to food of your choice. Idea is to do at least 70% right. If you are doing 70% right and 30% not so ok our body is good enough to tackle it. But 100% is not acceptable. Following a vegetarian keto diet comes with heaps of benefits, some of the well-known benefits are listed below. Due to low sugar and low carb intake the skin tends to become much clear than before. Excess carbohydrates have a negative influence on Hormone levels, therefore acne appearance is extremely common amongst those who have a high Carb diet. Cancer cells feed in Sugar and carbohydrates as their primary food to multiply. Reducing the carbohydrate intake and processed sugar intake reduces the chances of cancer and cell mutation more than 50%. So if your family has a history of cancer, you may want to reduce the intake of acidic food and food items high on carbs and Sugar. Also when you implement the use of fresh veggies and fruits in your diet, your heart muscles also tends to strengthen. Reduction in blood pressure is another byproduct that comes along with this diet. As you lose weight the body has to spend less energy when in resting mode. Inclusion of food high on essential fatty acids as well as fruits high on Potassium helps to keep blood pressure away. Pre-requisite of any keto diet is low carb and low sugar model. So naturally when you starve your body of sugar and carbohydrate, body’s insulin response also improves. In fact LCFH (Low Carb High Fat) diet is highly recommended for those who suffer from elevated sugar levels. There is a common myth that I keep hearing, i.e. consumption of fatty food leads to fatty liver, let me tell you it’s absolutely false. Fatty liver is caused due to multiple reasons such as excessive consumption of alcohol, Sugar, carbohydrates and Modern antibiotics. Our body needs essential fatty acids to stay in good shape. Fat is never a problem, in fact fat was never a problem (Except you are suffering from heart disease). If you can tune your body to use fat as a source of energy instead of Carbohydrates, fat assimilation will never be a problem. Most of the food items that fall under keto category are anti-inflammatory. Even though animal products are considered as inflammatory, when you starve the carb intake the inflammatory response is neutralized. Fresh veggies, low carbs, High fat and protein only helps to boost the immune system in longer run. Having said that Keto diet is good only in short term. For long term modify the lifestyle. Artificial juices that use preservatives to prolong the shelf life, instead consume fresh juice. Burger and Pizza is a big no no. Avoid Keto supplements as there is nothing better than your food to fulfill your body’s demand, instead consume ayurvedic herbs that assist in weight loss. Add more fibers in your diet. Fatigue is the short term phenomena don’t give up by consuming carbs or sugar. Drink Lauki juice daily on empty stomach, it can boost the metabolism and correct the digestive and metabolic disorders. If you have noticed the diet chart above I have mentioned paneer quite frequently, I had to since its loaded with protein. 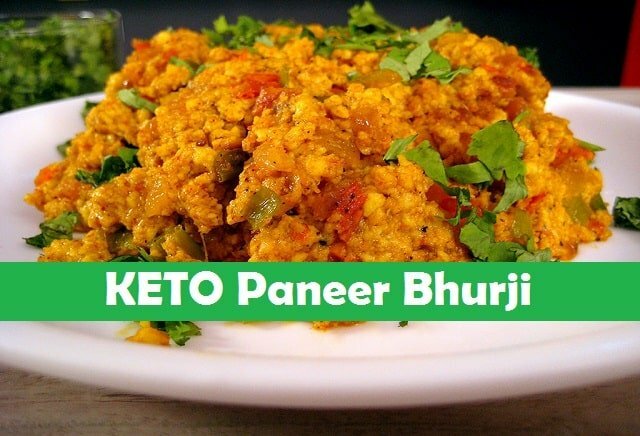 How to make Keto Paneer bhurji? Step 3: Add cumin seeds, let it start to crackle. Put the chopped onions now. Step 4: Once the onions start to turn light pinkish, add chopped ginger and garlic and a whole chopped green chili. Step 5: Mix everything well and once the onions turn light brown, add the chopped tomatoes and mix it well. Step 6: Add all the masala’s i.e. Turmeric powder, coriander powder and red chili powder. Step 7: Add some water, mix everything well, cover it with lid and let it cook for 6 – 7 minutes. Make sure the tomatoes and onions have broken down evenly. Step 8: Now add capsicum followed by Grated paneer, Mix it well. Step 9: Add grated cheese, mix it well. Step 10: Now add chopped coriander leaves followed by one teaspoon butter. Your Indian Keto food is ready. 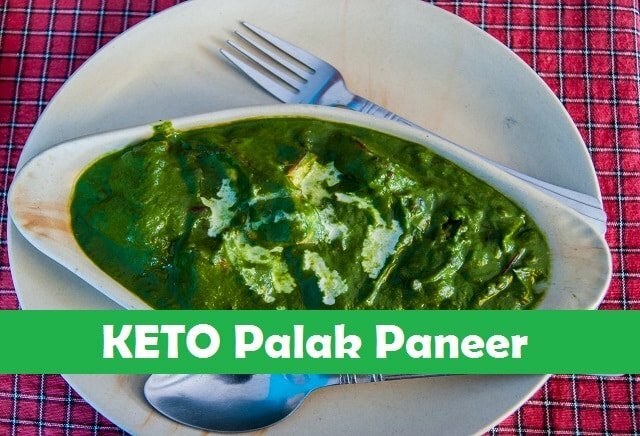 How to make Keto Palak Paneer? Once you have the above ingredients ready, you can make a tasty Palak paneer in 7 easy steps. Step 2: Add the cumin seeds, sauté it for a while and put chopped garlic and ginger and keep Sautéing it. Now add one chopped green chili. Step 3: Now add chopped Onions, cook until onions are mild brown. Step 4: Add the spinach or Palak and put a pinch of salt. Mix it well and cover it with lid and let it cook for 3 – 4 minutes. Step 5: Open the Lid and mix it well. Put the lid back on for a minute or so. To cook the masala’s add one tablespoon of ghee on that same pan. Start adding the masala’s one by one, i.e. cumin powder, Turmeric powder, Coriander powder, Red chili powder and garam masala. Mix it well and let that strong aroma disappear. Step 7: Add the spinach puree to the Masala’s and mix it well. Let it cook for a minute and then add paneer cubes. Mix it well and cover it with lid to cook for 2-3 minutes. Your Indian vegetarian keto food is ready to be consumed with Quinoa or Soya chapatti. This Indian keto recipe is easiest of all, actually this recipe is used worldwide. 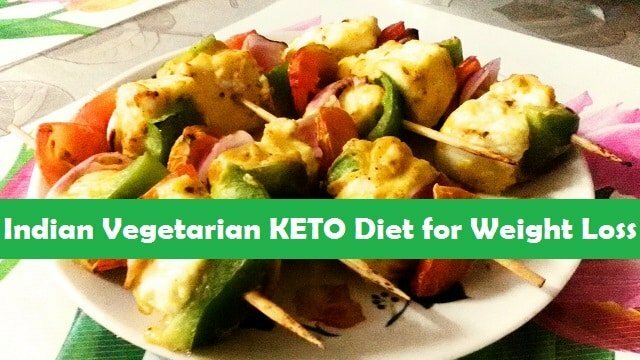 If you are on a Indian vegetarian Keto diet then this is something you should have in your diet regimen. Let’s learn how to make bullet proof coffee. Your Indian Keto drink is ready. Note that, this should give you around 300 grams of coffee, for each 250 grams you brew add one tablespoon butter and one teaspoon pure coconut oil. To make this Indian keto dish you would need below ingredients. 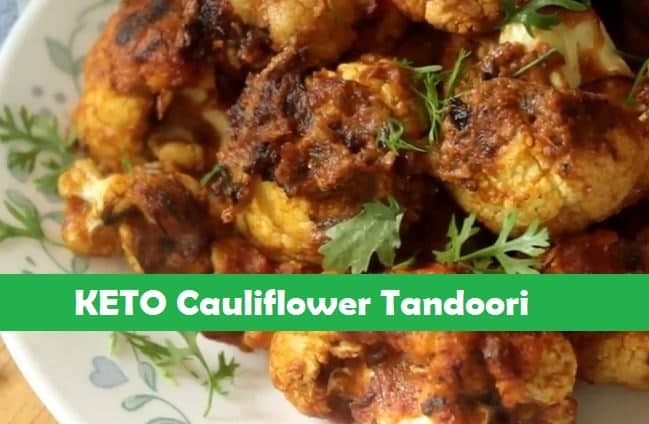 How to make dry keto cauliflower tandoori? Once you have the above ingredients in place you can make this keto food in 5 easy steps. Step 1: Take the cauliflower in a bowl and mix it with a tablespoon of olive oil, a pinch of salt and tandoori masala. Put it in the oven tray and cooked it for 20 minutes at 180 degrees. Step 2: Simultaneously you can make the sauce. Add One tablespoon of Olive oil followed by one teaspoon of cumin seeds. Let is crackle, then add Ginger garlic paste. Step 5: BY now your cauliflower is also ready, therefore take that baked cauliflower in a bowl and mix it with the sauce. Step 6: Put the cauliflower back to the Owen tray and cook for 15 minutes at 180 degrees. Your Indian vegetarian keto diet food is ready to be consumed (This dish does not need chapatti or roti, instead you can consume it directly). Upma is generally cooked using Semolina flour but since its high on carb it’s wise not to use Semolina. In this case we will use Cauliflower and broccoli. Ok, so let’s take a quick look at the ingredients needed to make our Keto upma for weight loss. 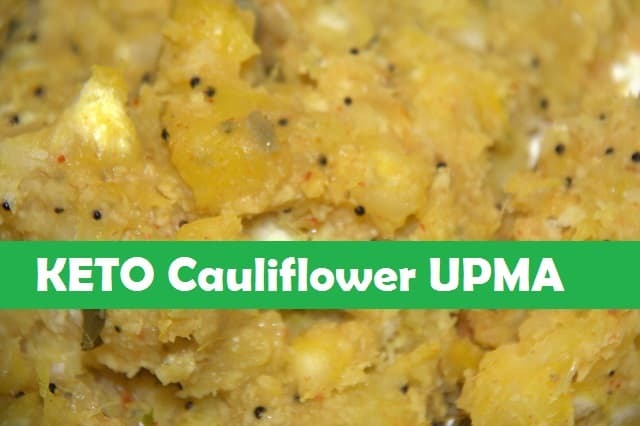 How to make Indian Keto Upma for weight loss? Once you have the above ingredients in your kitchen, you can make this Indian Vegetarian Keto dish in 5 easy to follow steps. Step 3: Now add the chopped ginger and garlic to it, wait for a while and add the chopped onions and sauté it well. Step 4: Add the curry leaves followed by chopped green chili, sauté it well for a minute or so and now add the turmeric powder. Step 5: Now it’s time to add your peanuts, mix it well and once the peanuts are half cooked, put some salt. Step 7: Add some water and cover it with the lid for 4 – minutes. Open the lid and check, make sure nothing sticks, keep stirring in between. Your 100% Indian vegetarian keto diet food is ready to be consumed in breakfast or Even snack. 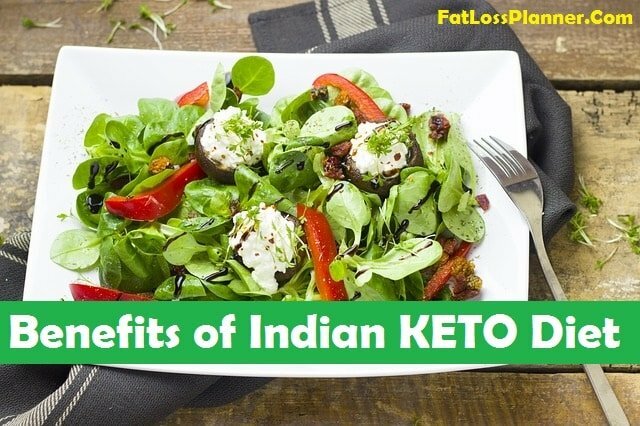 Is Indian keto diet different compared to western Keto diet? The answer to this is no. The only difference is the name of the dish, the core items such as Keto vegetables remain the same. What type of Indian Dal can be eaten in a Keto Diet? While Lentils are not recommended when on a Keto diet, occasionally moong dal can go well. But again if you want to lose a lot of weight then stay away from any form of lentils as majority of lentils are non-ketogenic by nature. What type of Oil goes well with Keto diet? When On keto its best to use cow ghee and butter to cook food, having said that below are the list of oils that tends to go well. How to maintain weight after achieving the target weight? It’s recommended that you follow healthy diet and exercise. No need to prolong keto diet. If you are extremely obese keep continuing keto diet until you have achieved the target weight. Once the target is achieved follow a normal diet. What type of foods to avoid when on Indian vegetarian Keto diet? Any food that disrupts the ketosis process should be avoided. Food items such as potatoes, Corn, White Flour, Rice, Instant noodles, Cookies, Sweets, Sugar, Lentils and Legumes, Cakes, Pizzas and burger are extremely Non-Ketogenic. There are multiple choices available, whether you choose a zero oil diet or Keto diet, discipline is the key. Eat good, sleep well and don’t forget to put in at least 30 minutes of workout a day. That’s all that you need to stay in shape and fit. Banana’s are high on Carbs, therefore its safe to stay away from banana when on Keto. Thanks for the keto Indian diet plan. It is well designed. I want to know about timing you have mentioned, generally I have dinner by 7:30-8pm. Then what will the schedule ?pls help. Please can you please provide recipes for all the other sabji and soups. Thanks a lot. 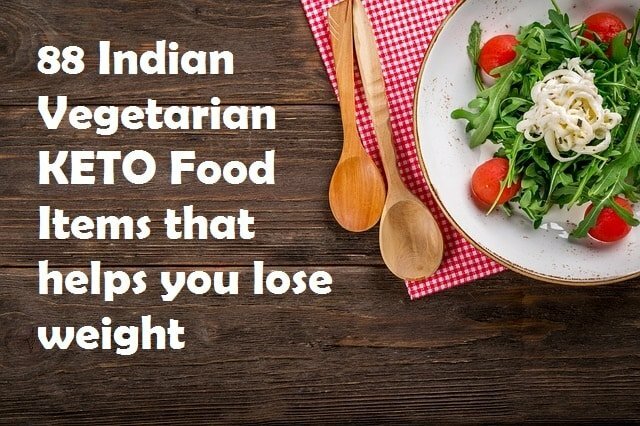 It was very difficult finding an indian veg keto diet plan. Can you share some more useful resources for vegetarians on keto? You have mentioned Quinoa, Black chana, Soyabeans are these good to go for keto ? Yes, these make an excellent fit when you are on keto diet regimen. If you want us to avoid table salt, then which salt can be used for cooking? Himalayan pink salt or organic salt are good instead table salt. 2. Any other option than quinoa? Can I drink milk with bournvita ? Bournvita contains carbs and it may disrupt ketosis, instead opt for Low carb high protein Keto Shakes. Which flour do we use to make the pakoras? And parathas? If possible pls share the recipe. 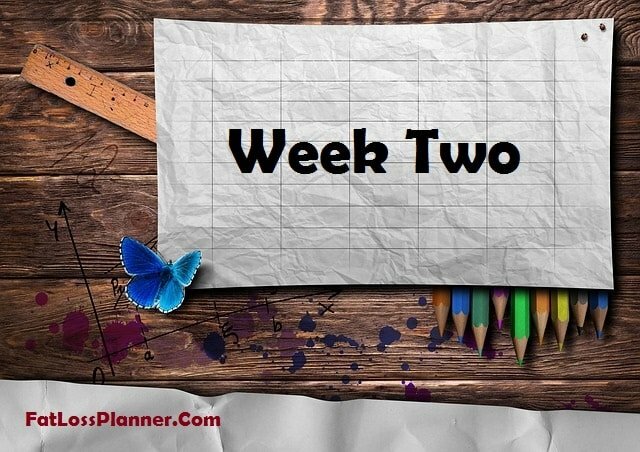 On an average how much of weight loss can happen in a week? I’m sorry but out of 88 items listed as keto friendly, I see actually close to only twenty are low in carbs. Carrots radish beans lentils legumes chana gram tomato onion are all high in carbs as opposed to their other nutrients. And there are possibilities that they will throw you out of Keto. Nope they wont… these are food items that goes well with keto diet and they are not keto food by itself. No matter what diet you follow you should include foods that detoxifies your liver and provide much needed vitamins and minerals. You have mentioned quinoa quite offen, but some says it is high in carbs. So is it safe to eat in keto.. And bajra also. Please let me know what to do. Dont worry if you use it along with the other combination mentioned it will trigger ketosis. Also we are not focusing on zeroing carbs, instead the focus is to reduce the carb intake. If you find quinoa uncomfortable and want a more aggressive version of roti then opt for rotis made with almond flour. Thanks for stopping by and reading the diet plan… if you look at the diet plan I am not recommending Bajra daily… bajra is recommended from nutritional point of view. If you follow the above plan it will surely trigger the ketosis having said that different people needs different types of diet plan… this plan is not an aggressive plan but instead it focuses on sustainable weight loss as there is no point if you lose 5 kg in one month and regain those 5 kgs in next month. Now it make sense, when I just read it I felt that many of them are not keto approved ( like carrot, quinoa…). 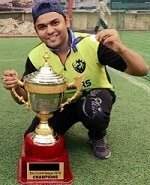 Thanks for putting a Indian keto plan! Many thanks for the resourceful post. I have few queries and will be obliged by your reply. How long at a stretch is it safe to follow the keto diet as I am 25 kilos overweight? Is there a substitute for quinoa like maybe amaranth, bajri, jowar etc because quinoa is not available where I live and its fairly expensive online? Also, is there a substitute for soy for making roti because I’m allergic to soybeans? Thanks for stopping by and reading the diet plan… the answer to your query is 1 month. Dont overdo the keto diet as it should always be on and off… 1 month keto and then three months normal balanced diet. Thanks a lot. I was trying to find keto diet plan for an Indian everywhere then finally my search ends here.. your information is very good. Why have you recommended honey and grains like quinoa? You’ve also suggested parantha. Arent grains off limits in keto? You are 100% Correct, but over here I have tried to balance everything and limit the carbs. Also when I say honey it has to be organic if you are unable to find organic honey then I would recommend Stevia extracts for sweetness. Yes you can but make sure you don’t have anything else along with that. Hey! Thank you so much for such an organised plan. Can you please tell me if there is any way of substituting lotus stem? It’s not that easily available in the market. Is wheat flour chappathi a good option for the keto diet? And i am a lactating mother,is it ok if i.follow the keto diet? Wheat Flour is not recommended when on Keto, however as a last resort you can still have it. Your diet chart is good but there is some confusion. You are including lentils and legumes in both – food for keto diet and food to avoid during keto diet. Please clarify. Yes thats because its a diet plan to stay fit and lose weight… we are not focusing on crash diet that cuts weight alarmingly. Also not everyone can follow pure keto diet for longer time. A bowl should be enough.. Yes in limited quantity… as keto diet is purely based on limiting the carbs..
What is the substitute for Quinoa or soya roti? I did some research and found that quinoa is high in carbs so how you can have it daily for lunch and dinner when on ketosis? How much weight can I lost in 30 days on Keto diet? Depends on current weight and underlying cause.. for healthy human you can expect to lose anywhere from 2 to 5 kgs in a month. Absolutely Yes, infact in lot of keto dish you will see usage of Psyllium husk. I need to lose40-50 kgs. Is it possible with Keto. For how long can I continue on Keto at a stretch? Keto should not be continued for more than a month… if you put on weight easily then I would suggest use on and off technique, meaning 1 month keto and then a gap of 2 or 3 months. During the gap of 2 months what type of diet can be followed? 50% raw food and 50% home cooked meal, off course keep the calorie intake in check during this. Hi..sir i have hypothyroidism so can i follow dis diet plan n cane i drink green tea instated of coffee. Please suggest. You can definitely consume green tea but stay away from keto diet… the reason you must stay away is because keto focuses on giving Fat and proteins to the body and limit the carb intake…. in your case it may work differently.. But if you really want to lose weight then I would say go on 50% Raw food and 50% home cooked food diet… this will not only help you lose weight but alsokeep your thyroid under check, once you go on a raw food diet monitor your thyroid levels after 3 months as there are high chances your thyroid may disappear. what is substitute fo lotus stem ? as it not available near me. There are no substitute for it, having said that the closest that comes to my mind is Bottle gourd. I’m so excited to have found this!!! Thank you so much for creating this! I used to eat low carb before I became a “non-dairy vegetary”, a term my son coined for me. I’ve gained weight since I stopped eating meat and it’s tricky to eat keto on a veggie diet. I’m so grateful for this and excited to learn these recipients (I LOVE Indian food!!!) which leads me to my question… where can I access all the recipes for all the dishes mentioned in the 4 week program? I’d hapilly pay for them if there is a book or a download. Thanks for stopping by Sandi, I am not promoting any books or products currently, let me do a research and get back to you. Hey can we use bran roti indtead of quiona ? Can I have Herbalife Shakes during Keto Diet? No, it is not keto friendly.. 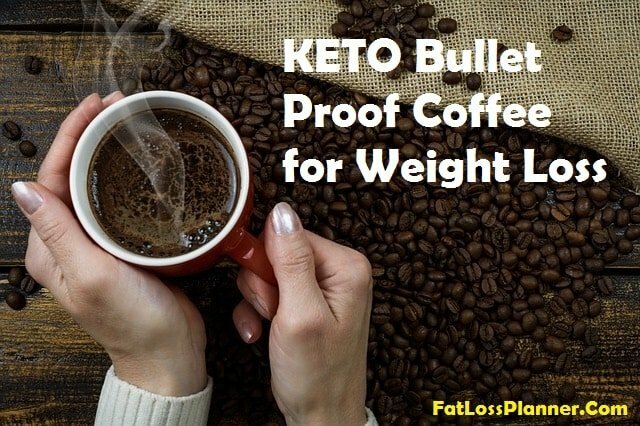 If you are looking for a keto friendly shakes then I would recommend Procel Keto Protein powder, it acts as a meal replacement shake and also it helps you to stay in ketosis. I took keto diet for 72 days & loose 13kg weight. Then I consult dietician and came on normal diet. Now I want to loose 5 kg more. Can I take keto diet again for one month. Now is it effective or not after 2 month gap. Please wait for 1 more month and then go for it. Can gram flour ( besan ) be included in the keto diet? Please try to avoid besan as much as possible. can we use soya flour instead of quinoa flour ? Yes you can, make sure its organic and its of highest quality. You may need to mix it with other multigrain flour in moderate quantity so that you can make a roti. It’s difficult to make roti only from soya flour. Thanks a lot for sharing the knowledge and guiding the starters like me… Can we include only soy flour chapatis for lunch as well as dinner to stick to keto diet plan? Also, can we consume coconut water occasionally in place of fruit/lauki juices in the morning? 1.) Coconut water is an excellent way to nourish your body. 2.) Dont stick to only one type of Roti as its boring and you wont enjoy it in long run. Hello Hemant sir , Thanks for shareing this diet n I’ll definitely follow it but I have question ,that I suffer some times with severe acidity so any other food item need to add or cut from plan . If you are acidic try to include more alkaline food in your diet such as green vegetables and fruits. Drink a glass of lauki juice on empty stomach every morning, you will soon start seeing the benefits. It will take time so please be patient with the process. Sprouts won’t do any harm, make sure you keep the calorie intake in check though. I am karishma and want to loose weight bcz having pcod and arthritis .l following diet through my dietician who said you will not take carbs more than 50gm for looking weight . Can you advice me this vegetarian diet is under how much carbs. And my temperature alwz been 96.5 .is any problem. Sir bcz l am able to afford expensive treatment for loosing weight through dietician. Please check with your doctor if you can follow a Keto diet at the first place, if you get a green signal from your doctor you can follow a Keto diet. In this diet plan the carb content is extremely less. Having said that above diet plan is not a ZERO carb diet, it does have carbs in it but its extremely low… low enough to trigger ketosis. We could have made a more aggressive diet by cutting carbs even further but that is not safe, hence if your doctor permits keto diet go for it the carb content is extremely less. If you look above some of the fruits are not a keto food in itself but makes an excellent addition to your keto diet I have tried to maintain the balance. Can my mother in law can follow this keto diet.she is 65 yrs old. I would advise not to go for keto especially for 65 years old. Keto is about giving your body fats and proteins and starving it for carbs. Doing this for a 65 year old may have adverse side effects such as build up of cholesterol, triglycerides and other problems that may give rise to heart related ailments. Instead I would advise a zero oil diet backed with 50% raw food for longevity. It’s exciting to know that this is working for you. The reason you need to come out of ketosis after sometime is because it will help to balance your vatta, Pitta and Kapha. Give a gap of 15 days and follow a no junk diet meaning try to include lots of fruits and green veggies. Keto is all about giving fat to your body and starving it for carbs. But you also need tons of greens so that you are healthy in long run. Also Keto diet is hard for your body in long run. I would say give a gap of 15 days and during this time frame consume lots of greens. And yes don’t forget to drink lauki juice it will strengthen your cardiovascular system and keep cholesterol under check. 1. There was a comment which you answered in which u said about having 50% raw food and 50% of home cooked. Can u give an example of 50% of raw food and 50% of home cooked? 2. As i have hypothyroidism can i start keto diet?. If yes what kind of modification would u suggest for me in keto diet. If no then what should I do yo loss my weight? 3. Can u pls provide a diet plan for weight loss for people who have hypothyroidism? 4. For how long should I continue keto diet? Its quite a long question and I may need a separate article to explain you but cutting the long story short here is my response. 1.) 50% Raw food and 50% home cooked food means simply keeping 50% of your meal as normal home cooked meal such as Khichdi and 50% should be in form of boiled veggies or raw veggie smoothies. If you eat 2 rotis and sabji, make sure you also eat equal amount of raw veggies, it can be in form of beet roots, cucumber, Boiled spinach, Boiled Karela or even a smoothie of multiple raw veggies. Make sure when you try this, you use organic veggies. Also, if you are looking at diet as a cure then I would have to say, you need to be extremely disciplined. 2.) I wont recommend a Keto diet for Hypothyridism since in Hypothyroid our body works differently and it keeps adding weight. Instead you can try doing the following for a month. Early morning when you wake up drink 300 ml lauki juice. For breakfast stop tea, coffee, biscuits, bread and butter and anything that is processed. Make sure your breakfast consists only of fruits and organic vegetable smoothies. Lunch should be 50% home cooked i.e. Multigrain roti and home cooked sabji (1 roti will give approx 75-100 calories so 3 should be enough). The other 50% should be in form of salads and greens in raw form. 3. I am already working on a diet plan for Thyroid and PCOS, please allow me sometime to come up with a detailed plan. 4. Follow a raw food diet, you can definately follow a keto diet for not more than a month but it may not help you. The real medicine is in the food. Make sure to check the thyroid levels after a month of following the raw food diet as thyroid levels may come back to normal. Hello.. I saw 1 month veg diet list but not able to get 1 month non veg diet plan. Will do so already working on it.. I just wanted to know that if we can eat steamed quinoa like how we eat rice as a substitute for roti. 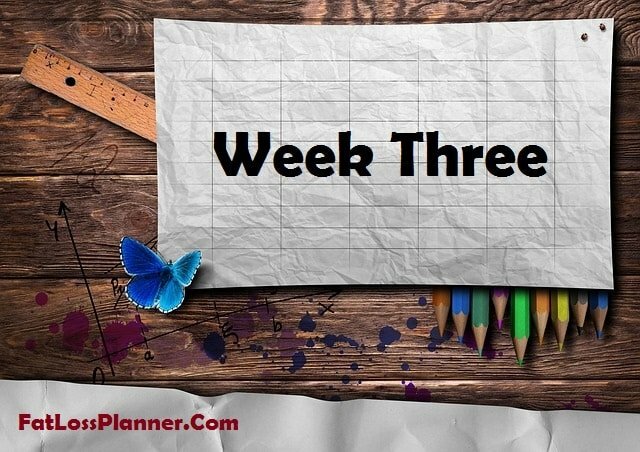 Is it possible to get the recipes for the roties you’ve mentioned in this 30 day plan ? Sure, I will write one for you give me sometime..
Sure, Will write a nice recipe for cheese pakoda..
Hello sir, Iam 26 years old male! Can i follow this diet as it is? And Iam a vegan but also eat eggs. How can include eggs in the above diet? If you dont have any underlying ailments or issues, you can definitely follow it.. let me the the results after a month thiugh. My hb count is always on the lower side, and iam 5.6 “in heght and way abt 70kg in my 30’s. I eat eggs and avoid other meat products. Would like to see myself 10kg less. Is it possible? its 100 percent possible, just add more fruits and veggies that are high in nitric oxide to your diet. Really apprehensive about starting keto diet. But I badly need to lose weight at least 25 kg. Somehow would like to be convinced that it is absolutely safe before starting. Your concerns are quite valid, I would say go for a 50% raw food diet and 50% home cooked diet to achieve your weight loss goals if Keto is not convincing you. The challenge with this diet is that not everyone is able to sustain it for longer duration, again choice is totally yours. Thanx for such a detailed plan. I m a vegetarian.I am planning to go on Keto Diet based on your diet plan. But I cannot follow exactly your plan. Can I interchange/repeat items (all no carbs) as per availability/suitability? Yes you can, there is no hard and fast rule to follow word to word… having said that keep your carb intake in check or else it will ruin the whole process. Please tell me the portion of food for lunch and dinner. Also I do eggs , so need to know how do I incorporate that. Portion depends on the body type and weight. As a general rule of thumb you should restrict the calorie intake between 1500 – 1800 calorie per day. 1. Can I use butter instead of coconut oil to cook? 2. Can I drink amla juice instead of lauki or add one amla to lauki juice? yes you can use butter and both lauki and amla are good you can use either one. But please dont ignore or avoid it as it plays a key role. What can i replace with Bullet Coffee? Thanks for this details plan. Its God sent for me 🙂 . I am a bit curious to know about the Pakoras. Please can you share the batter ingredients ? also I assume these will be deep fried…so in coconut oil ? Yes it will be fried, that why I also added natural fat burners like lauki juice in the diet. And yes it will be in coconut oil. Even I have started your planned diet, it’s been 3days and I feel better following it. I am thankful to your suggestion and comments which gives me proper idea how to follow. Just have only 1 query can I have intake of rava for snacks?. Try to avoid rava as much as possible as it has decent amounts of carb in it. Thank you for a fantastic plan. A few questions please. 1. Can I have regular milk Or should it be full cream only ? also if home made yoghurt is ok ? 2. Absolutely no lentils right ? ..like Toor or Chana dal ? …what about 2-3 spoons of sambar made with toor dal ? 3. When u mention roasted chana ….is that chana whole (like kabuli chana or brown chana) or chana dal ? 4. Are sprouts ok ? 1.) Try to consume milk from vegetarian sources and yes homemade yogurt is absolutely the best. 3.) Its the roasted black chana, Read how roasted black chana helps to lose weight here.. 4.) Yes sprouts are good in limited quantity for Keto diet. In fact, if you can combine a 24 hour to 48 hours fasting once a week and skip one meal a day and eat a moderate Keto diet (meaning, eating some unrefined flours, dal etc), weight loss will be faster and can help reverse Type 2 diabetes and high blood pressure. Amazing blog. Thanks for putting the effort. Unable to find good recipe for Paneer Pakoda/Pakora. Can you help with a possible link? Can u pls provide a veg diet plan for weight loss for people who have pcos ? Or they can follow keto diet you shared. Yep, I have already taken the request from my readers and shall come up with a diet plan for PCOS soon, stay tuned..
Any subsitute for soya items ?? I just wished to write down a fast expression in order to give thanks an individual for all those amazing points and ideas you might be exhibiting on this site. Hi u have given an amazing diet chart. I am following it from last 15 days but to be frank not fully following but mostly things I am doing. Like I have stoped wheat and replaced it with quinoa and millet flour. I am taking early morning vegetable juice and for lunch I am taking quinoa and millet rotis and for dinners I am taking soup, curd , pineapple mostly . With all of these I am doing workout for 1.5 hrs but still my weight is the same. Very first week it showed me downfall of 1 kg but then again it’s the same from where I started . Stay patient, avoid junk and implement more greens along with Keto. Thats normal to lose weight slowly, initially it takes sometime but then after that there is a snowball effect, meaning the weight loss happens much faster. Yes you can, but avoid if you have thyroid. what brands of brown bread do you recommend? Oroweat 100% whole wheat bread works well. You are suggesting to use almond flour at many places instead of soy or quinoa four. Isn’t will add much calories in diet? How weight loss will happen without calories restrictions. If you look at the overall plan, you will end up consuming optimum amount of calories. I don’t suggest starving yourself to lose weight, unless you want to follow a calorie deficient plan. This is a Keto plan and not a calorie deficient plan, alternatively I am writing on 1500 calorie plan for weight loss, stay tuned..
You suggested almond flour. Isn’t high in calories ? Its high in calories, but if you look at the plan its efficient as you will end up covering on other aspects. 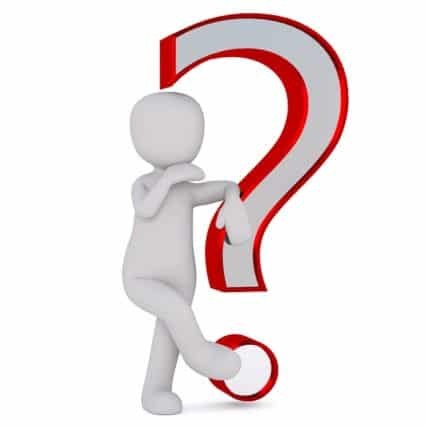 Repeating my question…any difference in quinoa grain n flour….I HV quinoa can I use it instead of roti…also roti should be make with soya+quinoa flour or any one of it… kindly reply….two three people HV asked the same question…. Thanks for writing, yes you can use both Soya and Quinoa flour together.